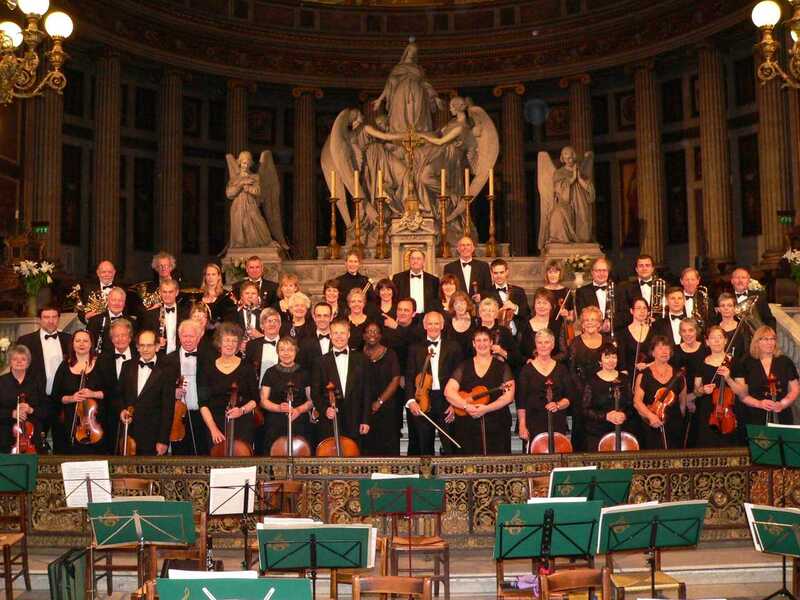 The Leicester Symphony Orchestra have been touring every two years since since 2000. This year the Orchestra visited Paris during the late Spring (Jubilee) Bank Holiday, flying the flag for Leicester. We assembled at the Mayflower Hall early in the morning (about 6.15am) of Saturday, 2nd June and fortunately it remained more or less dry whilst we were loading the coaches. We left before 7 am. and made good progress to the Eurotunnel Folkestone Terminal (picking up various orchestra members on the way). During the journey we experienced problems with both coaches – a shredded belt on Coach “A” just before the Tunnel and, two hours into France, overheating of coach B: topping up with coolant was sufficient to get us to the Ibis Hotel Berthier Place de Clichy, our home for the next 5 nights, only about an hour late. After unloading the Coaches most of us were soon dining in the Hotel Brasserie and enjoying a relaxed evening. Sunday was a free day in which to explore Paris, or to take part in one of the two visits that had been arranged to Versailles or Fontainebleau and Barbizon. We now found that Coach B could not be used as it needed to be “recovered” to a garage for proper investigation and repair – and the French recovery service did not operate on Sunday! 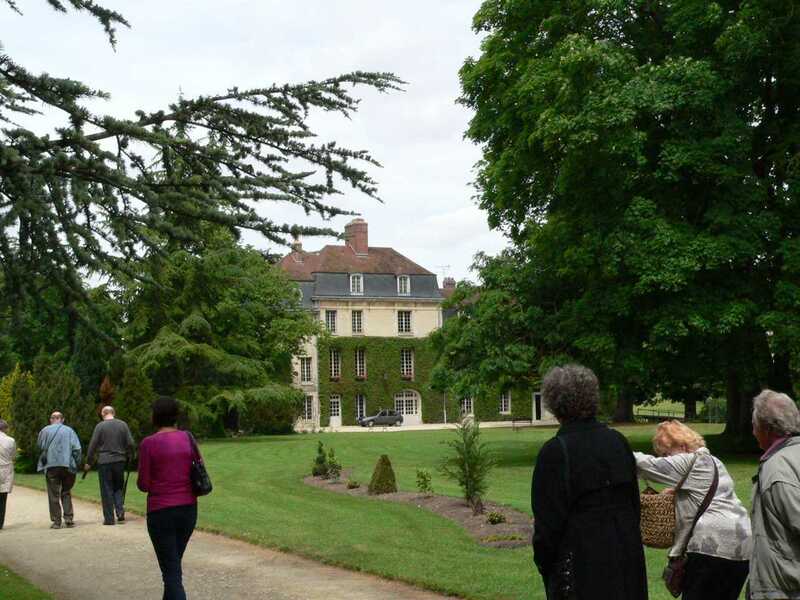 Fortunately, all those wishing to make one of the visits were able to do so using Coach A to first deposit the Versailles party and then continuing to Fontainebleau/Barbizon for the rest. Although the Versailles visitors had a good day (despite, reportedly, being propelled round the Palace rapidly by the vast crowd of visitors and being unable to visit the garden), the Fontainebleau party probably had the best deal as admission was free (in contrast with Versailles) because it was the first Sunday of the month and it was not very busy. Versailles and Fontainebleau both have many splendid rooms and much more to see and do than can be easily absorbed in one day. Barbizon also proved to be an attractive and interesting small artists’ town. Monday morning was another free period and most people spent time looking round Paris before assembling at the Eglise de la Madeleine to unload the Coach (still only one!) and set up the Orchestra in the church. The Madeleine church is a huge and impressive colonnaded building in the Greek style with a vast box-shaped interior with plenty of space for the Orchestra; unfortunately, not so good acoustically with a resonance time of about 7 seconds (a bit less with an audience). After an early afternoon rehearsal, the concert followed at 4 pm, so we were reloading the coach by 5.30! The acoustics were challenging but, thanks to the clear and calm conducting of our Guest Conductor, Lev Parikian, the performance was satisfactory. Lev implored us to watch his beat and not to listen to any other section (as if we did we would be behind the beat): this was very unusual, mostly players are urged to listen, as well as to watch the beat! We performed the Overture “Froissart” by Elgar, a group of songs by Delibes (Les filles de Cadiz), Massenet (an aria from “Manon”) and Rachmaninov’s “Vocalise”, a suite from Bizet’s opera “Carmen” and Dvorak’s 8th Symphony. Because it was necessary to be out of the Church at 5.30 the “Carmen” suite was shortened by omitting one number. For both of the concerts our soloist was Eva Ganizate who performed the songs superbly in both venues. Tuesday was the day for our second concert, in Compiègne. Originally it was planned to be in Beauvais but that fell through in April! Thankfully the Orchestra’s contact in Beauvais introduced us to Compiègne which met the challenge magnificently. We were invited to visit the Chateau which had been rebuilt by Louis XV, was the place at which Marie-Antoinette first met Louis XVI and was the favourite residence of Napoleon III – a very impressive palace. Unfortunately Coach B was still under repair and Coach A had to make two journeys to transport everybody from Paris (a little over an hour away) so some who wanted to see the Chateau were not able to do so. The Chateau is normally closed on Tuesday but was specially opened for us and, not only that, two of the guides volunteered to show us round on their day off. This was merely one example of the marvellous welcome that we were given by the citizens of Compiègne who also provided an excellent lunch in the old Abbaye and a reception with supper at the Hotel de Ville. After lunch we rehearsed in the Eglise Saint-Jacques which proved to have acoustics much better suited to orchestral music than the Eglise de La Madeleine. After the reception we performed to a very enthusiastic audience (who gave us a protracted standing ovation!). This concert had substantially the same programme as the first but included all of the Carmen Suite and also Mozart’s “Ave Verum” played movingly on the Oboe d’Amore by our principal oboe, Christine Griggs who was presented with a well-deserved bouquet. At last Coach B had now been repaired and was available to carry passengers back to the hotel after the concert. Our final day in Paris was spent sight-seeing, some remaining in Paris but the majority enjoying either the delights of Van Gogh’s art in Auvers-sur-Oise or the gothic splendour of Chartres Cathedral. Both of these outings were enjoyable, especially as the weather was largely fine and sunny; a slight disappointment at Chartres was the restoration that closed off the choir so half the Cathedral was inaccessible. Nevertheless, part of the restored and cleaned choir was just visible, bright and colourful in contrast with the unrestored nave: when the work is finished (in about 2016) the interior will be magnificent and well worth another visit. On Wednesday evening the Orchestra enjoyed a meal at Hippopotamus George V.
We left on Thursday and, in contrast with the outward journey, had an uneventful trip back to Leicester – just a rather long wait in Calais before boarding the ferry. Overall, as a survivor of all the previous Tours, I think that this was probably the best Tour yet; in spite of the many problems that arose both before and during the Tour, the result was a resounding success both musically and socially, in my view. Audiences were large and enthusiastic at both concerts, our hotel was reasonably accessible to the city and we were all in the same hotel. That is not to say that previous Tours which also had their own, different, problems were not enjoyable or successful, rather that, somehow, in 2012 everything came together in the end in a most satisfactory way. This is a tribute to the organising committee and the coach drivers, who (publically at least) coped with all the obstacles thrown at them calmly, effectively and with good humour.